Three years ago, Samantha Gray killed her parents. Haunted by their deaths, she hides her scars behind sarcasm and vintage t-shirts, counting the days until she can escape her foster home in Alegria, Arizona. Then she meets Ben, a California boy whose filmmaker parents constructed a big cat sanctuary outside of town. She's hesitant to get close, terrified he'll learn her secret. When Ben introduces Sam to Solomon, a Bengal tiger on borrowed time whose gruesome history eerily mirrors her own, she must decide whether she’s strong enough to overcome her past and save not only Solomon’s life, but her own. And to do that, she'll need to tell Ben the truth. Sam is haunted by her parents death. She is at fault for what happened to them. Her punishment is to live with abusive foster parents that only care about the stipend she brings them. Sam’s life changes when she meets California boy, Ben. Ben is the son of movie star turned animal conservationist parents. What will happen when Sam becomes wrapped up in Ben’s world. To me there is two separate plots to, ‘Burning Bright’. The first is Sam’s gritty struggle to survive. She lives in a tent so as not to have to live in her foster-parents house. She is in constant fear of her foster-father. Sam also has to work in a second-hand store in order to pay for essentials such as clothing and food. She sees this as a penance for what she did to her parents. What happened to Sam’s parents is not revealed until the end of the book but it is implied that she is someway caused their parent’s deaths. This section of the story was my favorite. It delved into the world of foster care. It felt real and different and it kept me wanting to find out how the story turned out. I also enjoyed the mystery behind Sam’s past. I really loved the setting of Arizona. The climate and the heat highlighted the intense drama of Sam’s life. The second plot involves Ben and his family running a large cat sanctuary. The sanctuary takes in, Solomon, a tiger that has been labeled ,’a man killer’. Sam identifies with the tiger and tries to save him. Despite being an avid animal lover, I just couldn’t get into this part of the story. It felt totally separate from Sam’s slice of life story. It just didn’t have the gritty reality that Sam’s other plot had and I just didn’t connect with this part of the story. I also didn’t connect with Ben or his parents. Ben’s mother seemed to act rather hot and cold to Sam and it left me confused about her character. 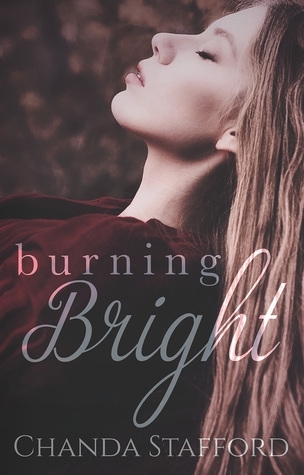 I enjoyed ‘Burning Bright.’ I really enjoyed this as a teenager in foster care story and I loved Sam as a character. I would love to have a continuation of Sam’s story. Great Look at foster care.